Get your spook on with these creepy Halloween masks! Be the talk of the town, or the local boogie monster if that’s more your style. 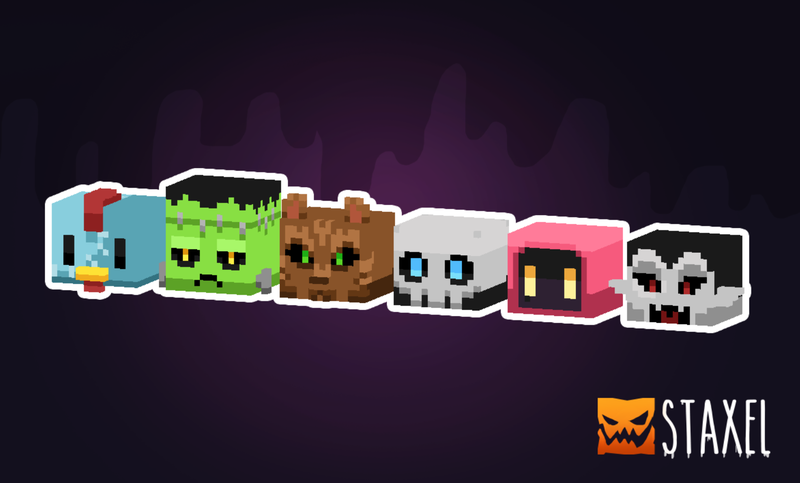 A new scary furniture set is also in the works to celebrate this Halloween in style! Each and every room in your house will be decorated to celebrate the creepiest of holidays. Dine surrounded with cobwebs, and sleep in a coffin… what could be more festive than that? Like the masks, this furniture set will be a permanent addition to the game so don’t worry about missing out! That’s all I can share for now, but it shouldn’t be a long wait for these new goodies to go live. We hope you’re as excited as we are! Over the past year we’ve had a lot of people requesting a DRM-free option for playing Staxel. We’re pleased to let you know that if DRM-free is your jam, you can now pick up Staxel from the GOG store! 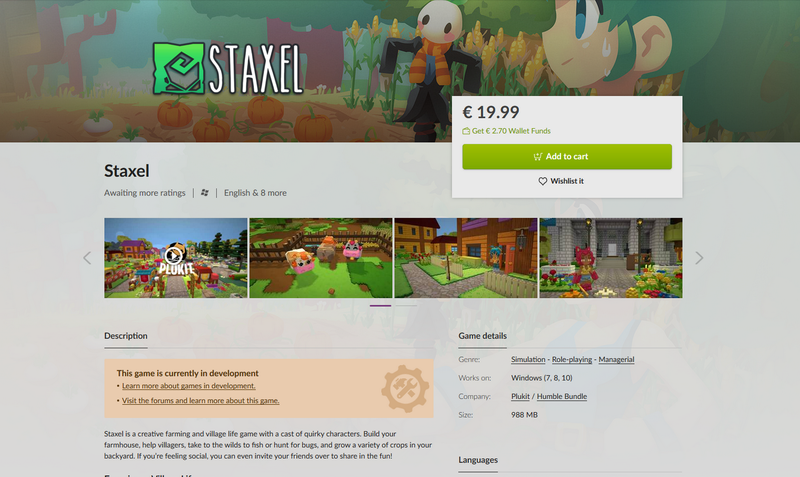 The GOG version of Staxel is exactly the same as the versions you’ll find on Steam, HumbleBundle and our own website so you’re not missing out on any features by going DRM-free. You’ll still be able to play multiplayer with your friends on Steam too! The only difference being that you’ll need to set up a dedicated server using the Server Wizard to play with your friends who are on Steam. Just to let you all know, Staxel’s next major update is in currently in the works. We won’t be giving out too many details on this for the time being, but rest assured we’re all working hard to bring more interesting content to the game for you all to enjoy. Keep an eye out for future issues of the Staxel Reporter where we’ll be posting updates and sneak peeks of what we’re working on. That’s it for this issue of the Staxel Reporter. You can grab Staxel at www.playstaxel.com/store.